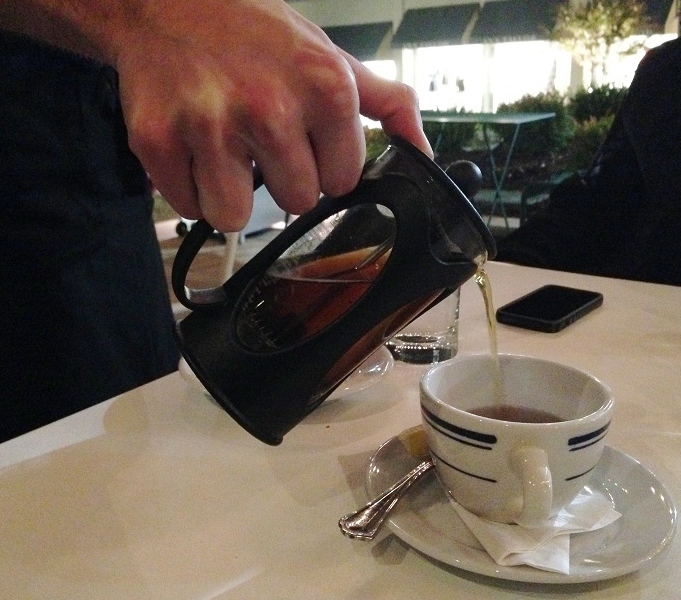 Last night I ordered a cup of peppermint tea and was quite surprised to see it arrive in a French Press. I was so enamored, since I make yerba mate every morning in a French Press, that I just had to take a picture to show you! 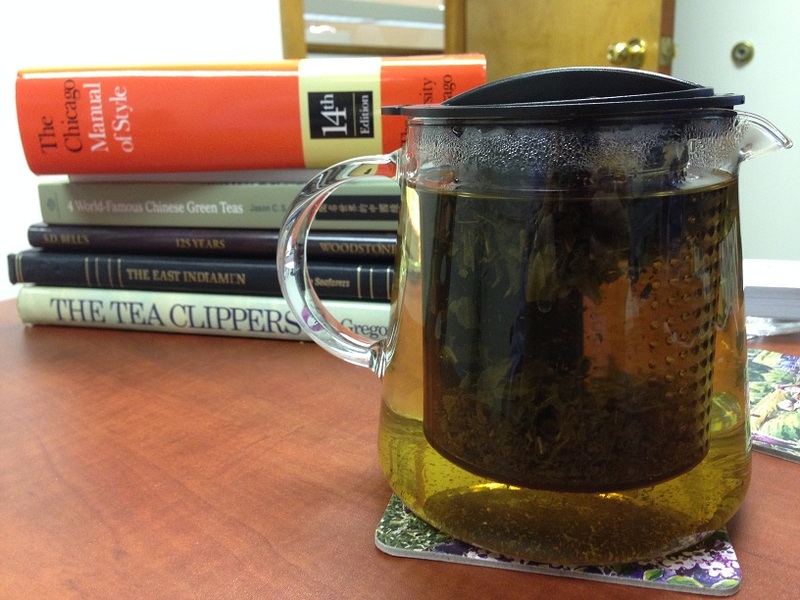 Of course I was inspired so when I got into the office I made a pot of tea with a Finum Tea Pot and am sitting back sipping a morning brew. Heavenly! Now where’s that honey to make it even healthier?